We all know we should be doing more usability testing than we are. Fortunately there are some great tools available to make the job easier. Every time I see Steve Krug’s book “rocket surgery made easy” I feel guilty. I know I should do more usability testing than I do, but somehow it never quite works out that way. Steve is right when he says we should all be doing usability testing every month. He even makes it incredibly easy by reducing the number of participants to only three people per month. Yet even this we struggle to do. However I have learnt one valuable lesson from my disastrous DIY experiments. If you have the right tools the job it is a lot easier. In my experience this applies as much to usability testing as to DIY. Fortunately these days there are some amazing tools available and I’ve listed my favourites below. Be sure to check them out. Flashing testing is where you show a user your website for a few seconds and then asked them to recall as many page elements as they can. This is a great way to discover if you have the correct visual hierarchy for your pages. Where previously you would need to do this kind of exercise face-to-face, there is now an app for that! 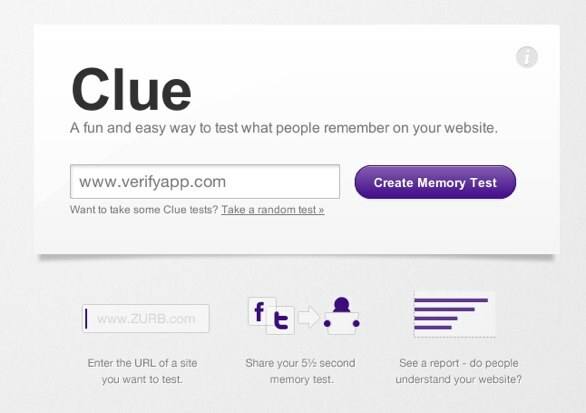 ClueApp.com takes a screenshot of your website and presents it to the user for five seconds before asking them to recall what they’ve seen. This is a great tool for testing initial sketches, design comps, or non-interactive wireframes. One of the big problems with face-to-face testing is recording everything that happened. Video cameras can be very intimidating as can having other people in the room taking notes. Silverback does a great job at making this kind of recording as unobtrusive as possible. Using your Mac’s built-in web cam and mic it records everything the user says as well as their facial expressions and what they do on screen. 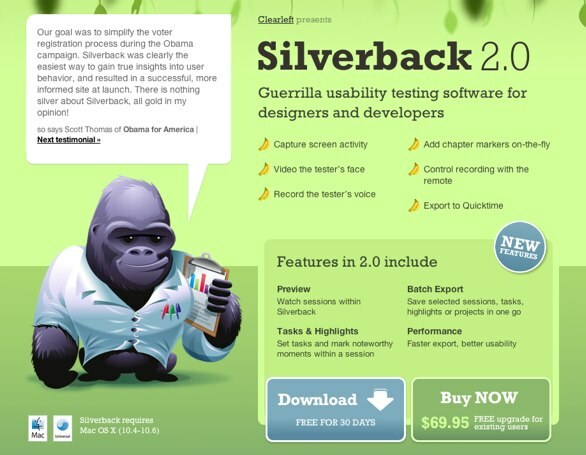 When you next do face-to-face user testing make sure you have a copy of silverback installed. Card sorting is an excellent way to ensure your information architecture is as user centric as possible. It involves allowing the user to organise cards that represent different content areas into their own hierarchy. Unfortunately the process can be time-consuming and it can be difficult to find an adequate number of users to make the exercise worthwhile. 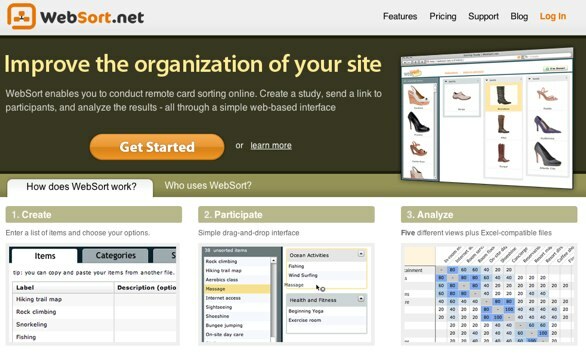 Fortunately there is now an app called websort.net, which allows you to do card sorting exercises online using real users directly from your website. By exposing possible design variations to a small segment of site visitors you get an insight into how a new design is going to work in the live environment. Many argue this is by far the most effective type of usability testing. Although there are free tools such as Google website optimiser, my favourite is visual website optimiser. What sets this tool part from its competition is the ability for client to carry out their own multivariate testing without the need to understand HTML code. Admittedly this is both a benefit and a curse. However, it encourages users to develop their websites on an ongoing basis. It can sometimes be difficult to meet face-to-face with user participants who are potentially spread around the globe. One solution is to use screen sharing software that allows remote testing to take place. 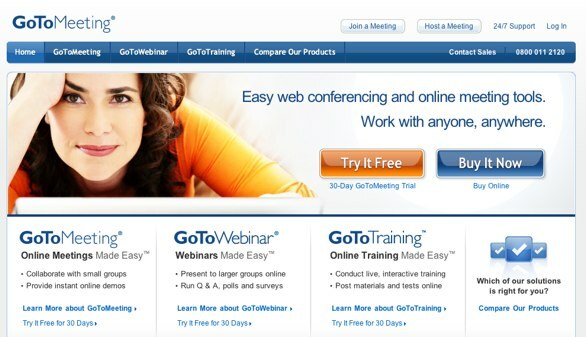 My favourite tool for doing this kind of testing is GoToMeeting. Although it does not currently support video you can share screens and speak directly to the participant. Best of all it seems to suffer from very little lag which is a crucial requirement when testing. If you simply do not have the time to recruit participants and test yourself then you may wish to consider a service such as usertesting.com. For a low fee per user you can define a test (such as placing an order) and usertesting.com will find participants and record them completing the test. All participants have been trained to talk out loud when completing tasks so you get a good idea of what they are thinking as they complete the test. Although not as good as interactive testing it is certainly better than no testing at all. Finding participants that match your requirements is possibly the hardest part of usability testing. Although it is not as important as many people think to have a demographic match for your participants, it can still be time consuming to find anybody at all. 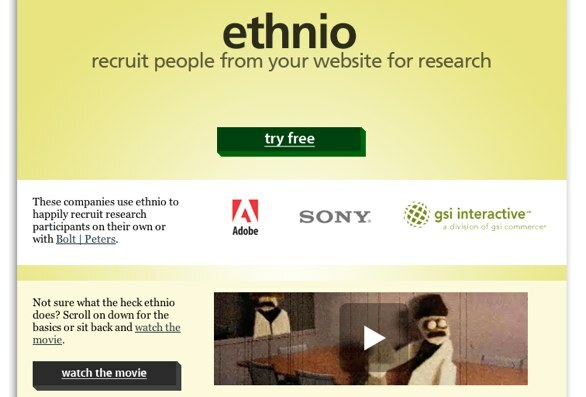 If you simply do not have the time to recruit participants consider a service such as ethnio.com. This service will allow you to recruit participants directly from your own website. It will also allow you to manage these participants and find exactly the type of people you require. With so many tools available there really is no excuse for not carrying out regular usability testing. 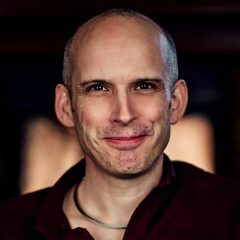 Just think, if you start doing monthly user testing you won’t need to feel guilty every time you look at Steve Krug’s book!